As moms, we know that we should be encouraging our kids to drink water regularly but it's so difficult to do so.Kids nowadays would choose soda or sweet juices over water in a heartbeat, agree? 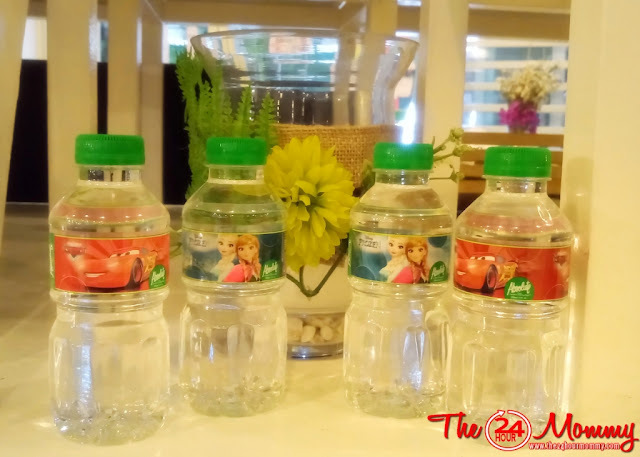 This is why I'm happy to learn that Absolute Pure Distilled Drinking Water has collaborated with The Walt Disney Company Philippines in promoting hydration among kids. How? By introducing the Absolute Disney kiddie bottle. The collaboration is in line with Disney's Healthy Living Commitment, an initiative designed to help make healthy living simple and fun, and inspire kids to lead healthier lifestyles. 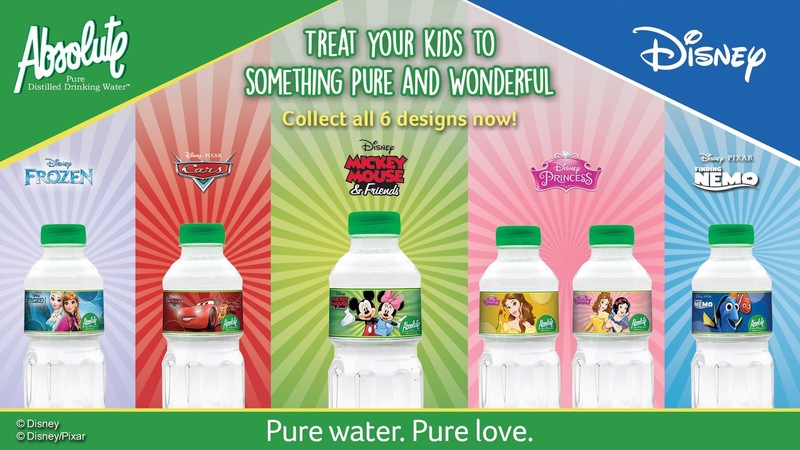 These cute Absolute Pure Distilled Drinking Water kiddie bottles will be wrapped with Disney character designs that kids will surely love. 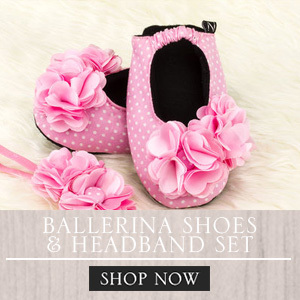 Among them are Disney Princesses (Belle of Beauty and The Beast, Snow White, and Anna and Elsa of Frozen), Mickey Mouse and Minnie Mouse, Lighting McQueen of Cars, and Marlin and Nemo of Finding Nemo. 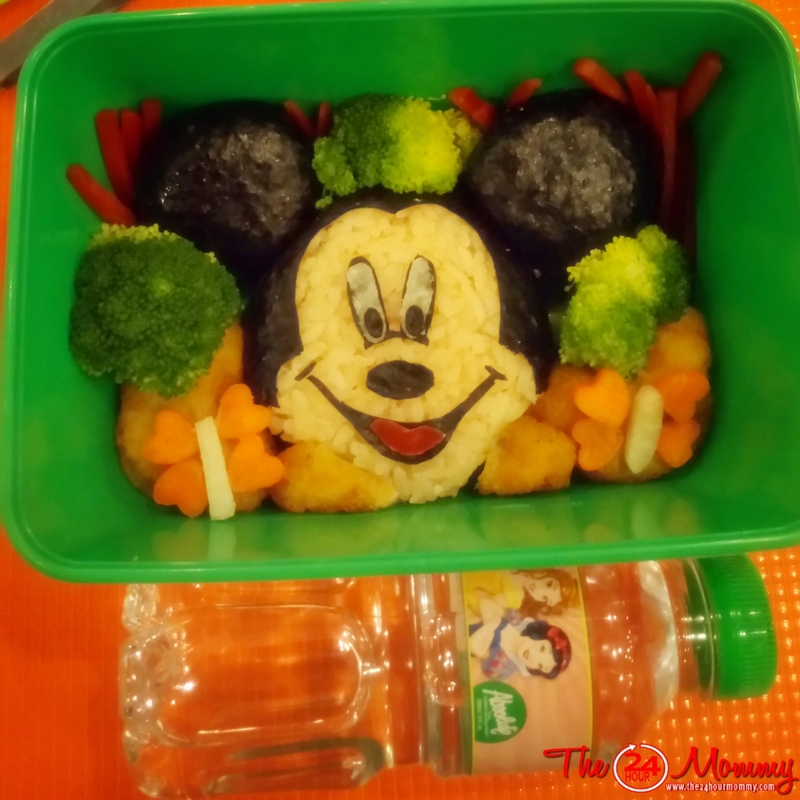 So here's a baon suggestion - why not pack a cute Disney-inspired bento like what I did together with an Absolute Pure Distilled Drinking Water Disney Kiddie bottle? Each bottle is only 250 ml which, in my opinion, is just the right size for small kids. This is already equivalent to 1 glass, so it's best if you can pack 2 bottles for the day (one each for recess and lunch) and you'll be sure that your child has already had 2 glasses of water. 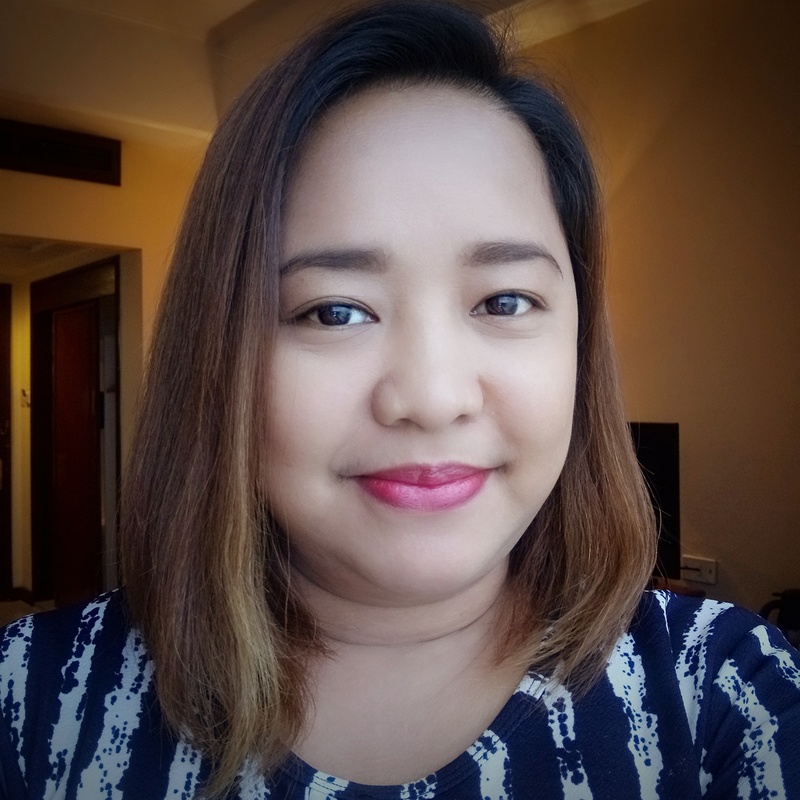 Absolute Pure Distilled Drinking Water is certified and approved by the Bureau of Food and Drugs for meeting the country's highest and strictest bottled drinking water standards. 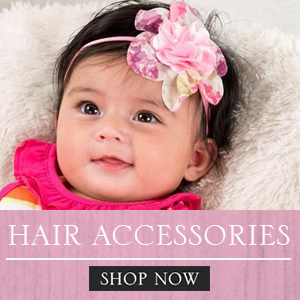 For more information, visit www.facebook.com/AbsoluteDistilledWater.